The Black 'Chase' Tuxedo Coat by Classic Collection is a formal staple that also incorporates more modern elements for a look that is classic and current! Featuring a two button closure, satin notch lapels, satin top collar, satin besom pockets, and fashioned from Tropical Worsted Wool. 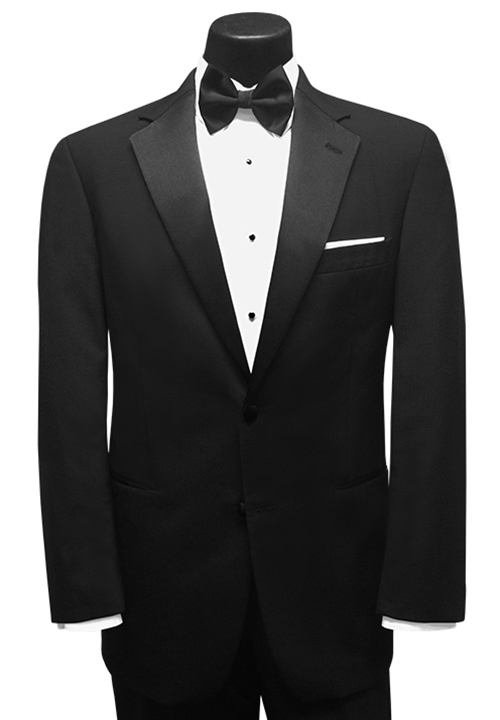 This tuxedo is the perfect centerpiece for your formal ensemble!